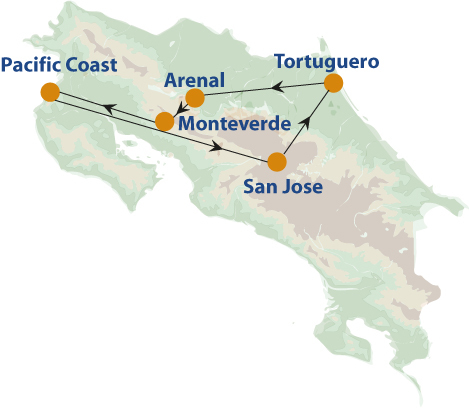 In two weeks you travel from the Caribbean to the Pacific coast, taking in rainforest, cloudforest, a wealth of wildlife and an array of activities. Costa Rica in a nutshell! 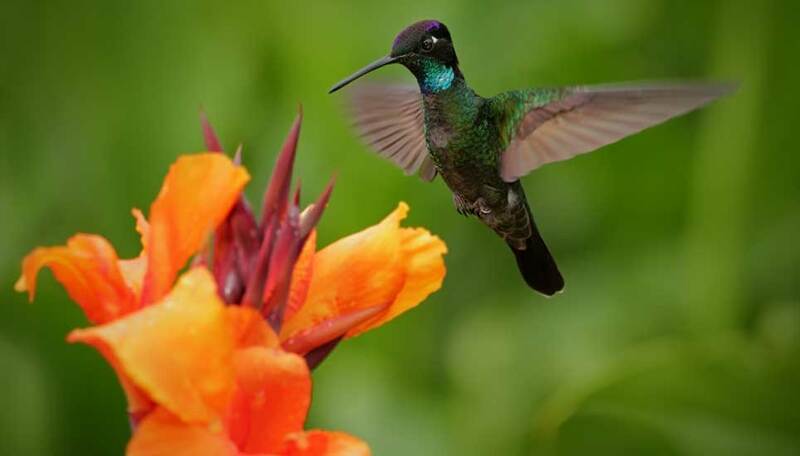 If you’re searching for the ideal introduction to the variety and abundance of Costa Rica, look no further! This 15-day holiday is a winning combination of locations, wildlife, habitats, activity and downtime, suitable for all ages. 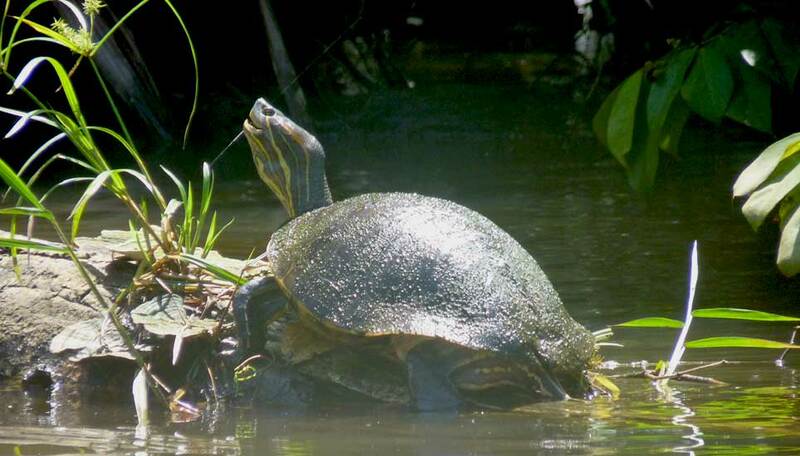 The adventure begins in Tortuguero, a perennially popular park, where you cruise the waterways watching for crocodiles, birds, sloths and monkeys, and learn about the work of conservationists who protect the vulnerable turtles that nest along the beach. 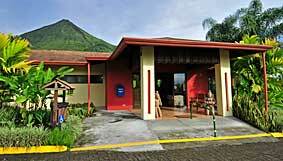 From here you head inland to Arenal volcano, one of the country’s best known landmarks. Here you cross hanging bridges for close up views of the rainforest canopy and go for a hike along the forest floor, both great opportunities to observe the plentiful wildlife. Free time offers scope for more activities or relaxation by the pool, as you prefer. The cloudforest is another world, misty and mysterious, filled with giant ferns and delicate orchids, where hummingbirds and butterflies catch your eye and monkeys dart among the tall trees. After your introductory tour you’re free to explore at your leisure, with opportunities for horse riding and ziplining as well as hikes in search of the resplendent quetzal. 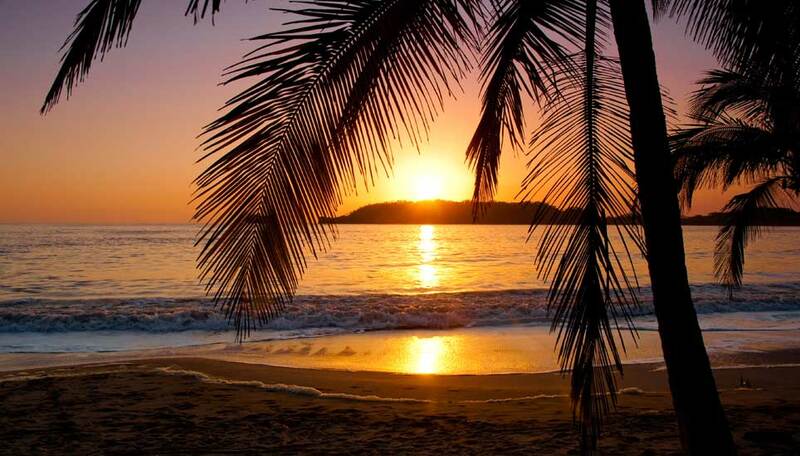 It would be a shame to visit Costa Rica and not stay by the beach, so we include 3 full days on the Pacific coast in your chosen hotel either in the north, famed for its long sandy bays, or in Manuel Antonio, where coast and rainforest meet. 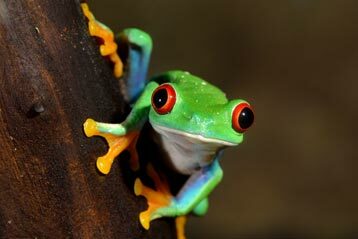 There’s plenty to do, but no pressure to do more than relax and enjoy Costa Rica’s pura vida! 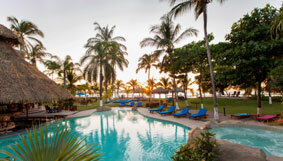 2019 Price from (pp sharing): This trip has been written and priced using Bahia del Sol for the beach at the end. Jan-Apr and Jul-Aug £1,630. May-Jun and Sep-10 Dec £1,570. USING SI COMO NO – Jan-Apr £1770. May-June and Sept -10 Dec £1580. Jul-Aug £1605. USING CAPITAN SUIZO – Jan-Apr £1995. May-Jun and Sep -10 Dec £1785. July-August £1885. Note that holiday periods such as Easter will attract a supplement on the above prices. 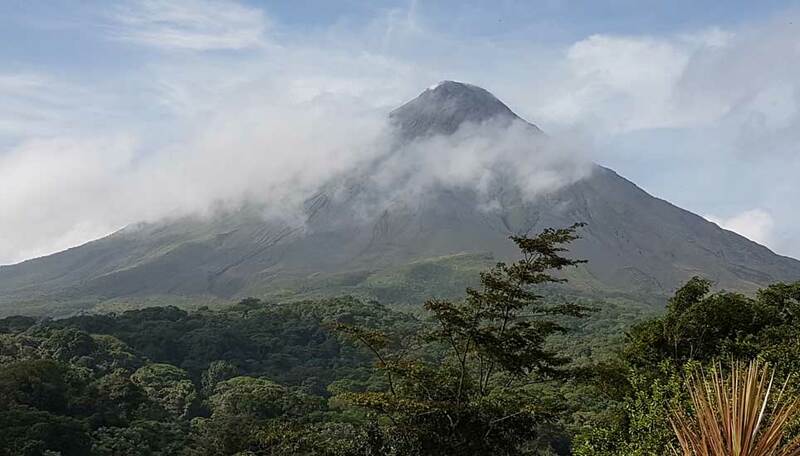 Includes: ​Transfers, ground transport by land and water, 14 nights twin share accommodation, meals as specified Tours: village and boat tours in Tortuguero inc. entrance fee, half day Arenal hanging bridges tour, half day Arenal guided hike, half day Monteverde Reserve tour inc. entrance fee. Excludes: International flights, departure taxes, visas, travel insurance, meals not specified, drinks, optional excursions and activities at Arenal, Monterverde and on the Pacific coast, personal expenses, tips. Getting there: ​This tour starts and ends in San Jose. Return flight prices from the UK start from around £600. Departure dates: This is a private, tailor-made holiday and can begin on any day you choose, subject to availability. 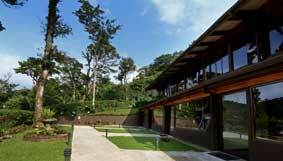 Set in 2 hectares of grounds, Evergreen Lodge is just a few minutes from the entrance of Tortuguero National Park. Rooms are light and spacious and cooled by ceiling fans. All have private bathrooms with hot and cold running water. 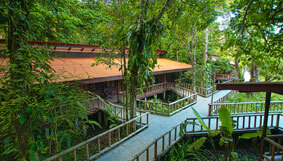 They are set among trees, so you’ll hear birds and monkeys and will feel surrounded by nature. Meals are buffets, giving you a wide choice of dishes, served in the restaurant which has windows on 3 sides allowing you to look out into the forest as you dine. The bar provides a selection of soft and alcoholic drinks and is a good place to mingle with other travellers, and has Wi-Fi access so you can keep in touch with friends and family. There’s a pretty outdoor pool in the shape of a turtle, a paved sunbathing area and gardens with benches where you can enjoy the sights and sounds of nature. A massage at the spa is the perfect way to relax after spending time in the national park. High in Monteverde Cloudforest close to the entrance to the park, Trapp Family Lodge offers warm hospitality in a wonderfully scenic setting. This family owned and run lodge is set on a private reserve where there are several walking trails you can follow. Your room has a TV, phone, safe, and en-suite bathroom. The floor to ceiling windows overlook the delightful landscaped gardens, while the suites have balconies with mountain and forest views. 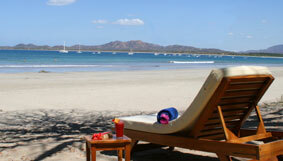 The hotel is at the southern, secluded end of Tamarindo Beach, about a 15 minute walk from the town. The name derives from the small island called ‘El Captán’ in the bay, and the nationality of the owning family. 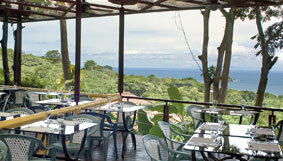 The hotel faces the ocean, with buildings shaded by trees which teem with monkeys and birds. Accommodation is a mix of rooms, suites and bungalows, all built from local materials. They vary in size and layout, but are all en-suite and have a private balcony or terrace, Wi-Fi, hot drinks maker, small fridge, IDD phone, radio and safe. There is an outdoor pool, and kayaks, boogie boards and surfboards are available to hire, while the concierge can arrange additional activities and trips. Meals are served in the open air by the beach, with a buffet breakfast and a la carte lunch and dinner.